I grew up in a home where food was always a predominant issue. My mom did her best to raise all four of us on her own with little to no help from family. The Dad I Never Knew was pretty much non existent, and that left her relying on help from food programs to feed us. I realize there is a debate over food assistance programs, and I also understand that there are those who take advantage of the system which leave some people thinking that the programs do not work. But there are millions of kids like me who were fed through these programs. Regardless of your feelings about them, they are necessary. I grew up with very little. My mom would get her food stamps at the beginning of the month and go grocery shopping. When she arrived back home with the mountain of bags filled with food, it would be like a celebration at our house for several days as we would eat like kings! By the third week, food was getting low and we still had many days to go until we would have more food in the house. The fourth week was always the worst! My mom was very creative when it came to feeding us. She came up with some great ways to feed us on random things left in the cupboards by the end of the month after we had ravaged everything else. My favorite was always homemade cereal which consisted of toast cut up in a bowl with a little milk. But I can still remember trying to fall asleep at night sometimes very hungry and looking forward to school the next day where a hot lunch would be waiting for me. We never literally starved like the children you see on TV in other countries, still the effects of hunger did leave their mark on us. This was the cycle I grew up in. When there was food, there was LOTS of food and we ate and ate like we were afraid we would never see food again until all the food was gone. I think back and wonder if things would have been different if my mom had known a few simple skills like Menu Planning and couponing. A few years ago she told me something that has become one of my biggest motivators for this blog. She said she wished someone would have taken the time to sit with her and explain things like menu planning and couponing. She didn’t know better then so she did her best. It wasn’t that she didn’t have enough food stamps to feed us, she just didn’t know how to make it stretch. No one had given her these skills when they were handing her her food stamps each month. When I first moved out with my husband I carried on this same cycle. Buy lots of great food and eat until it was gone without ever thinking of a plan for meals or how to make sure we weren’t wasting food that didn’t get eaten in time. This was only one area of our spending and indulging that was out of control. We were overspending on every area of our lives. We made the decision one day that we wanted A Financial Legacy Worth Leaving in the hopes that we would not continue the cycle of poverty thinking that we had grown up in. I didn’t want my family to be slaves to food or money. I wanted us to live freely! The one area I saw that I could do something about was in our grocery spending. I took some time to come up with a plan of action and that included a plan of what we would eat for one full week. This one single thing has changed me completely. I now see all the ways I was mismanaging our finances. It’s no longer an issue of having enough money, but rather becoming intentional about how you use the money you have. This is why I choose to be a frugal minded person. There is a freedom that comes when you Change Your Financial Perspective that I never expected! It’s not about being cheap or how much money you have or don’t have. It’s about thinking before you act and learning the skills and tips that will allow you to live an abundant life and have money left over to save or bless others with. It’s about not spending more than you have to whenever you can do something about it. It’s about living for today, but always with the future in mind. This is the kind of life I choose to live! Now I realize that menu planning seems like a small thing, but I seriously cannot express to you enough how much it saves my budget and my time. And might I add that taking that first seemingly simple step is all it takes to change the direction of things! I make a menu plan and a grocery list at the same time so that I am only buying the things I need. No more walking through the aisles grabbing every single thing I think we might need. My family eats very well, and it is possible to feed a family of four for a little over $250 per month. In an effort to encourage you to take the Grocery Challenge, I am bringing back my weekly shopping trips so you can see exactly what I am buying along with the coupons I use and the dinner plans I am preparing. Please feel free to share your own stories in the comments section. I am very much encouraged by your willingness to share with me, and I read every single one of them. I love your transparency and heart for others! Thanks for being such an encouragement and inspiration to so many people! YES YES YES Kristie! I love this testimony and your words. We feel the same way you do “It’s not about being cheap or how much money you have or don’t have. It’s about thinking before you act and learning the skills and tips that will allow you to live an abundant life and have money left over to save or bless others with. It’s about not spending more than you have to whenever you can do something about it. I have shared these words on my FB page because I think so many NEED to see and hear it! Preach it sista! My family had many lean years like yours, but thankfully along the way my mom included us in couponing and shopping smart so we learned how to feed ourselves. 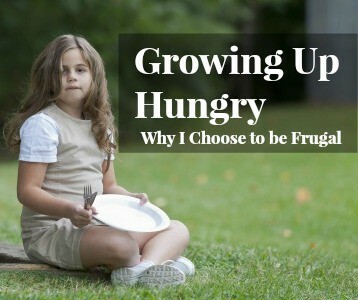 It’s part of why I’ve always been frugal and why feeding my family is my number one priority. I meal plan now and only allow extracurricular activities that keep us all at the dinner table together. food was an issue as I was growing up too. I think this makes me frustrated when my kids complain about not enough snacks or not liking a vegetable. I have to realize that they don’t understand what it is to be really truly hungry. We don’t really use coupons here as it is not the norm..but am looking at ways to stretch our grocery dollars too. 🙂 Will be following up to see how you feed your family on your budgeted amount. Yvette I so appreciate you sharing your story with me! Thank you! Kristie thank you for sharing your story! I have four sisters, and we were raised the same way. I have grown children and grandchildren now, but throughout the years I’ve learned to manage our food budget and food. Our Grandmother was very frugal also, and we would observe the ways she prepared and saved food. One thing I would like to share is; our Grandmother would take leftover vegetables from the serving bowls, (even if it were just a spoonful of corn, and she would freeze it in a container, along with the other vegetables she had frozen. Then, when the container was full, she would make a pot of Vegetable Soup! It was delicious! Another way to make food stretch, is, if you have leftover pies from Thanksgiving, slice them as usual, and double wrap each individual piece loosely with Plastic Wrap, or Wax Paper; then Foil. (Wrap them well, and freeze them in a safe place in the freezer where they will not be crushed with other food packages). (After I wrap the pieces of pie, I put them in a plastic container to freeze). And when you want a piece of pie, just let it sit at room temperature until thawed. *They will taste like they’ve just been made; (if they’re wrapped and stored properly). When all of my kids were home it made a family of 7. There was also a cat and dog to be taken care of. The night before my shopping for the week I took the weekly flyer, my coupon envelope and planned the week’s meals. When I cooked one night it many times left something that could be used for left overs/meal for another night. It was a much more organized way to know what we were eating for the week and with the nightly menu planned I could go through what I already had so I didn’t buy extra. 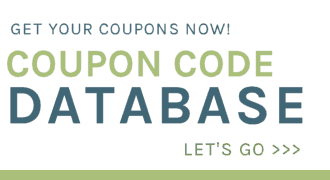 I certainly made it a challenge to use as many coupons as I could and see just how inexpensive I could make my main meal. My mom grew up in poverty as well. We never went without food, and I don’t remember going to bed hungry, but there were a lot of things in our home that were treats! Soda, for one, was a BIG TIME treat for us. My mom worked really hard, like you, to make sure we didn’t suffer like she did. You’re doing great, and I can tell you as a grown child of a frugal mom, your children will certainly remember it! Jill thank you so much for your encouraging words! It sounds like your mom did a great job!! up eating that 2 times a day.